Except for my time overseas in the Army, I have lived primarily in three states – Virginia, Hawaii, and Texas. Texas is by far my favorite. I have been an official resident of the Lone Star State since I joined the Army fresh out of college, and I made Texas my official “home of record” after discovering it had no state income tax. Guess what. It still doesn’t! 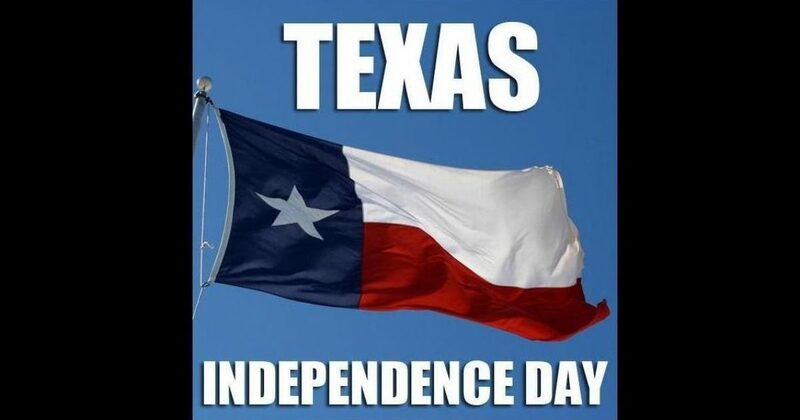 And as far as the independent-minded folks of Texas will permit, I expect it never will. One hundred eighty-two years ago today: Texas. The frontier republic, born in war and wilderness, defied every calculus in its existence. As the Texian delegates gathered in the small cabin at Washington-on-the-Brazos, their cause was everywhere in retreat and defeat. Their garrison at Bexar was besieged in the Alamo and would within days be slaughtered to a man. Their army around Goliad was enduring defeat upon defeat and would, within the month, be beaten, surrendered, and massacred in captivity. Their remaining force, scraped together from the few volunteers who did not or could not join Travis or Fannin in death, would within the week embark on an epic retreat. They would burn every Texas town, farm, and home as they went. The implacable enemy advanced, vastly greater in numbers, destroying and killing all. Texas would end. There was no moral or material calculation to the contrary. Its settlements would be ashes, its men would be corpses, and its children would be scattered. In the small cabin at Washington-on-the-Brazos, this is what the Texians knew. They therefore did the only reasonable thing. Against all hope and earthly power, they declared independence. They did not do it as a last resort, nor as a desperate ploy, nor as a final futile gesture before the darkness descended. They did it because they understood that this was what free men did when the odds were long and prospects were dim. In the shadow of might and grandeur, with the glittering general and his armies at their door and bearing their destruction, they resolved to live for all time in the only way worthy of all they had been and meant. They declared it, they proclaimed in their Declaration, so “they should continue to enjoy that constitutional liberty and republican government to which they had been habituated in the land of their birth, the United States of America.” Their revolution in 1836 was a continuation and fulfillment of that of 1776. Most of them understood it as an inheritance from their fathers. Three of them bearing arms in the Texian cause had a more immediate appreciation: for Alexander Hodge, Bailey Anderson, and Stephen Williams, it was not their first revolution. Before taking the field against General Antonio Lopez de Santa Anna as old men, they had marched for American independence against King George III as young men. They knew that the long fight for liberty was strewn with reverses. They remembered the disasters at Long Island and Charleston, and the suffering at Valley Forge. They also remembered that the enemy could win again, and again, and again, and a people in arms for their own freedom could take it: but one Saratoga and one Yorktown and the foe was done. Texas was losing its war on the day of its independence. It would lose much more in the days and weeks to come. Texas lost, in fact, every single battle of 1836. One hundred eighty-two years ago today: Texas. We are a long way from those desperate days of independence and battle. But its spirit still calls us — “Be men, be free men, that your children may bless their father’s name!” — and the Lone Star still lights the way.